Many of us make new years resolutions with the intention of kicking goals and changing our lives to match a vision in our heads. Our Growing Edge was a vision that Genie over at Bunny. Eats. Design had about this time last year as a way to push foodie boundaries and encourage people to try new cooking techniques, test new ingredients and continue to learn in the kitchen. When I was invited to join in late last year I was instantly taken with it as it suited one of the driving forces in my cooking, to teach myself new skills, try new ingredients and be prepared to take risks in the kitchen. So for the inspiration and risk taking that you’ve inspired with this wonderful blog party I’d like to wish Genie on behalf of all of its participants a very happy first birthday to Our Growing Edge! And here in no particular order is what we’ve all been exploring over the month of December to test our boundaries and expand our cooking skills. 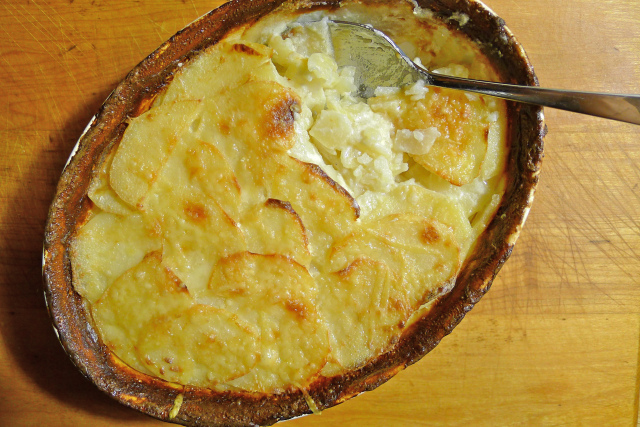 Coolcookstyle went in search of recreating a foodie memory and recounted a sad tale of a home, but the beauty that can come from such a place in the form of Classic Gratin Dauphinois. As a lover of potatoes in our household I’ll be adding this recipe to my list of must tries for the new year. 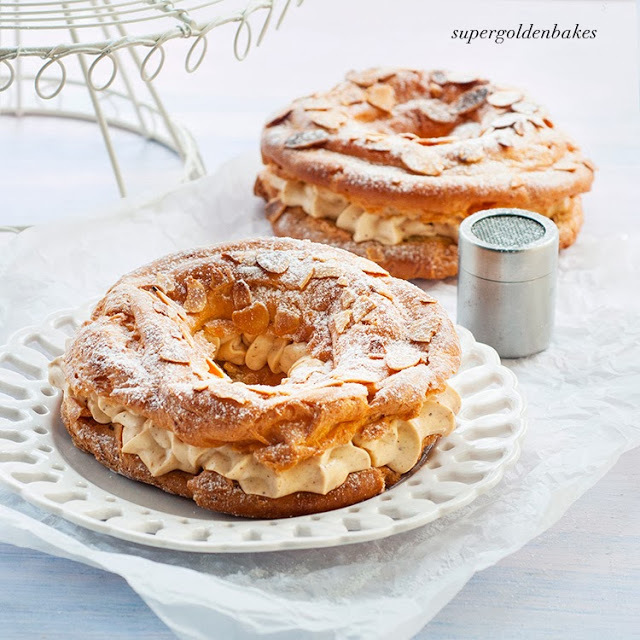 From one French classic to another as Supergolden Bakes took on the awesome challenge of making Choux pastry (I’m in awe by the way as pastry is one thing I’m a little scared of but have on my Our Growing Edge list to try). I have to say as a lover of almond croissants her photo’s alone had me wanting to reach into the photos and taste test this sweet delight so make sure you check out the Mini Paris Brest. 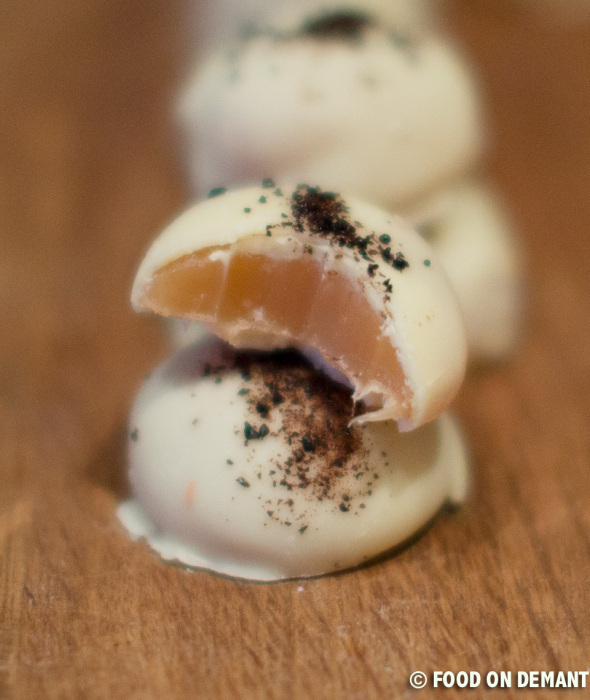 I’m beginning to sense a French theme to December’s cooking challenges for everyone just quietly as I stumble upon the next post from Food On Demant which is Chili & Liquourice Caramel Truffles…drool! An interesting flavour combination that is sure to capture the imagination of a chilli lover & a sweet tooth, I’m intrigued and inspired by the idea and may have to take up the sugar challenge once again…. 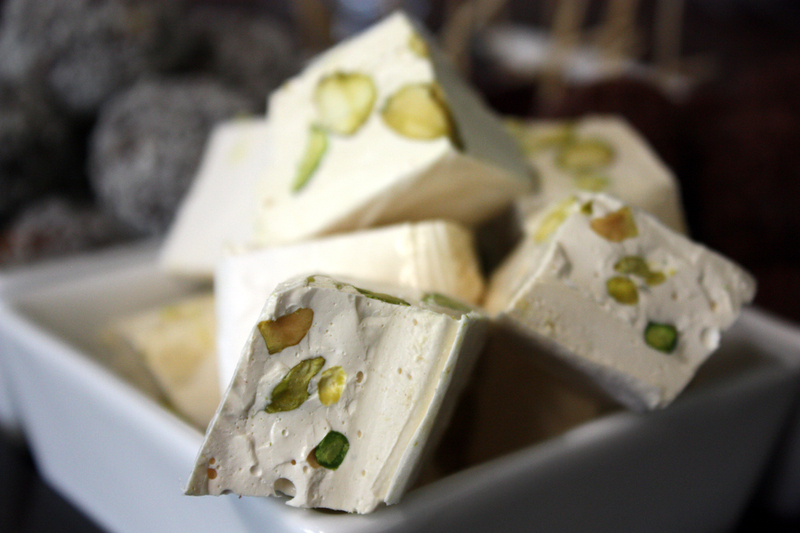 For here is my contribution as I took on the challenge of cooking with sugar to try my hand at Pistachio and Honey Nougat. It was certainly more of a challenge than I might have imagined with the results being close, but not quite where I wanted them to be. The flavour was sensational and the experience has not put me off the idea of getting back into the kitchen with a candy thermometer. Another sweet treat to add to our plate of petit fors? 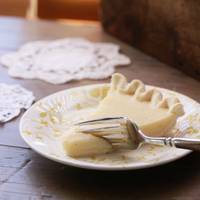 Pretty Hungry took on a very interesting challenge, and a trip into history to create her amazing looking vinegar pie. This is a story worth reading even just to understand how such a simple and frugal pie can be created to indulge even the tightest budget. From flexing our sugar muscles to another French dish (oui oui, I kid you not) in the form of Nom Nom Cat’s Moules Marinieres… aka deliciously cooked Mussels to make your taste buds sing. This post is a great little lesson in preparing these beautiful shellfish to maximise the flavour and demonstrates the beauty of simplicity to get the most out of your sea bounty. 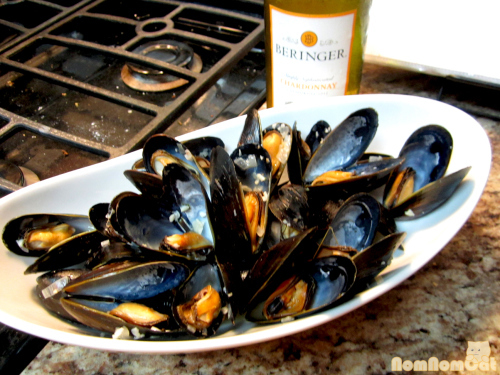 To our mussels shall we have some Ratatouille inspired from the movie and created by Sweet Brains? I think this would go deliciously with our potato gratin and perhaps a glass of Burgundy? 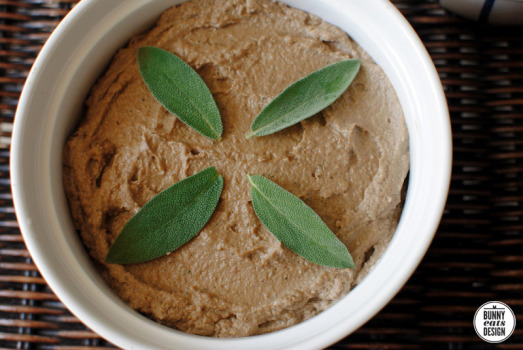 And if we wanted to start our meal with something of a luscious treat then I can think of nothing better than to create Genie’s contribution for this month with her Duck Liver, Cognac and Sage Paté. Finally after all that lovely French food, we took a very experimental edge to some traditional Christmas baking with Nom Nom Panda. A lovely collection of handmade Christmas decorations, an attempt at Japanese deco rolls (which I think look impressive) and an amazing edible Christmas wreath. I’m feeling very honored to have hosted our roundup for this month and feel like I could not have a written a menu this well with the contributions from everyone for this month’s Our Growing Edge. We have created a French feast worthy of any King. I think I just need an espresso to round off this feast and I’m ready for bed. 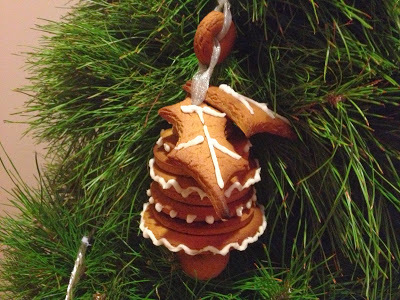 Happy Cooking, Happy Exploring and Happy Eating! 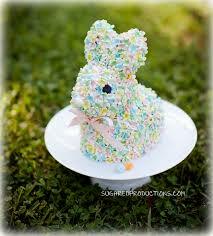 G’day and great photos and recipes too! Well done in challenging yourself and in continuing to do! Happy New Years Leah. May 2014 bring you new and delicious things. Thank you for hosting Our Growing Edge this month. The coincidental French theme is very interesting but not so surprising. It’s always funny when there are parallels in what is submitted. 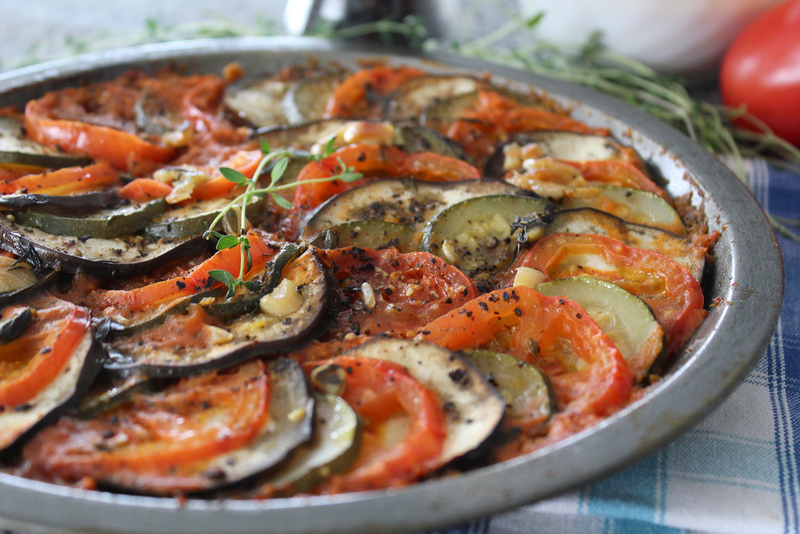 It makes me wonder if there really is a collective consciousness that we all tap into, though French cooking is one of those cuisines that shine on foodie bucket lists. Awesome roundup. Oh the allure of French food 😀 It just has that chic and rustic (and of course delicious) appeal that make us want to make it, doesn’t it?